The lake view is stunning, dinner and breakfast were utterly good and delicious. The breakfast was unique in a way for me because it was not an ordinary hotel buffet. 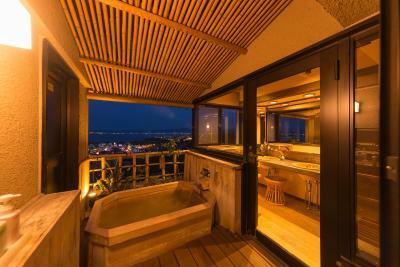 And the onsen and room view was more good then I expected. Breakfast was amazing! Staffs were very friendly. Lake view was great from the room. You can choose what time you want the room to be serviced. 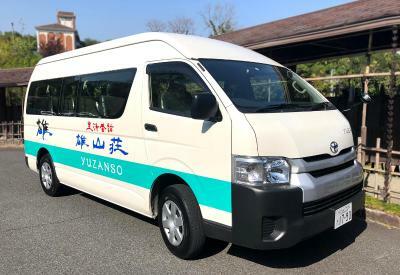 Shuttle service is convenient to and from Ogotoonsen station. The place is private and away from noise. 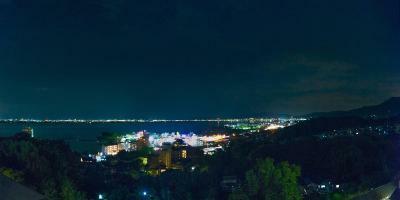 The view from the room is beautiful and there is a private onsen overlooking the lake. Nice staffs at the restaurant where we have breakfast. Thery are very welcoming and warm. Greeting with smile. Good service. Good level of communication in English. 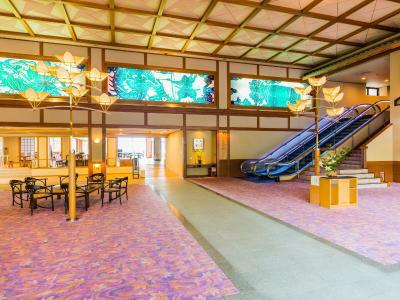 It's probably the only best part of the hotel. Quite ashamed for large hotel. 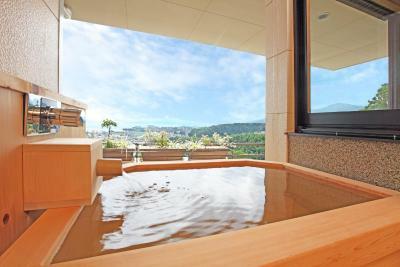 Amazing view, Relaxing Onsen and super friendly staff. 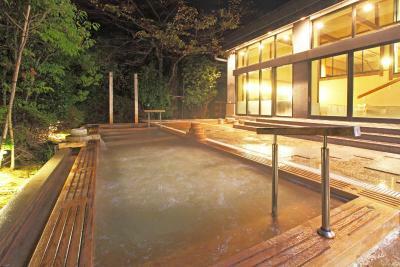 Spacious public bath facility and outdoor Onsen plus Kaiseki dinner. Happy that transport is provided to pick up and drop off the nearest station before 10pm. 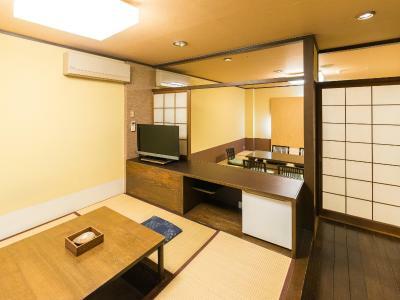 Yuzanso This rating is a reflection of how the property compares to the industry standard when it comes to price, facilities and services available. It's based on a self-evaluation by the property. Use this rating to help choose your stay! 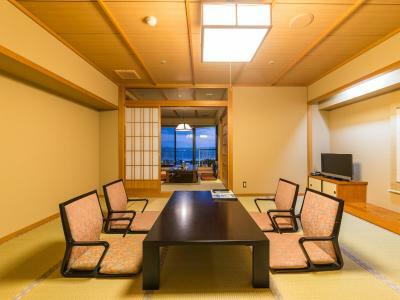 Only a 5-minute drive from JR Ogoto Onsen Station with the complimentary shuttle, hotel Yuzanso features Japanese-style rooms with a private open-air hot spring bath and spectacular views of Biwako Lake. The hotel also offers massage treatments and a sauna. 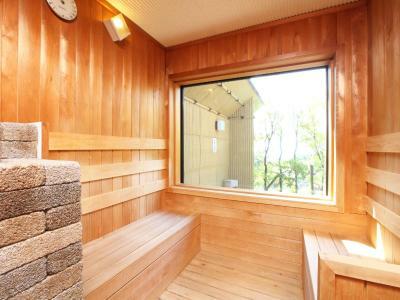 JR Ogoto Onsen Station offers a direct transit in 20 minutes to Kyoto Station. 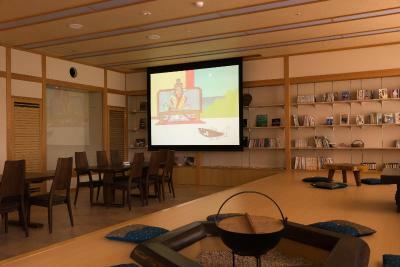 Air-conditioned rooms feature a living area with a tatami (woven mat) floor, an LCD TV and a mini-bar. 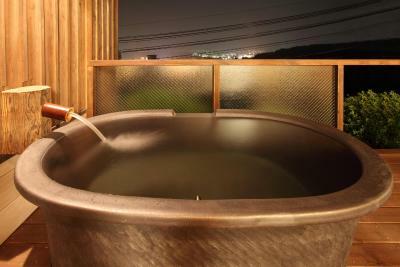 An en suite open-air hot spring bath, yukata robes and complimentary green tea are provided. 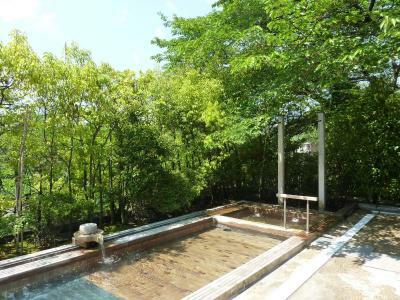 Guests at Yuzanso can relax in spacious public hot spring baths, both indoors and in the open air. 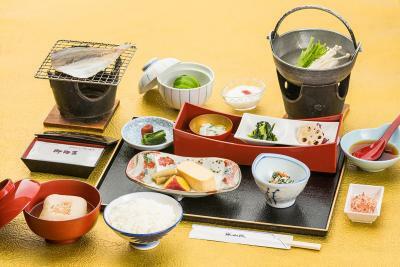 A Japanese breakfast and dinner are served. 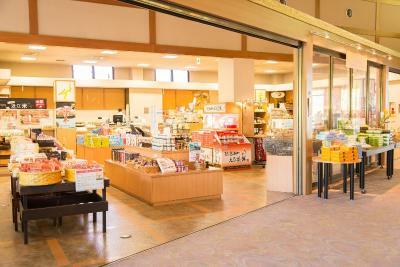 The hotel houses a souvenir shop and drinks vending machines. 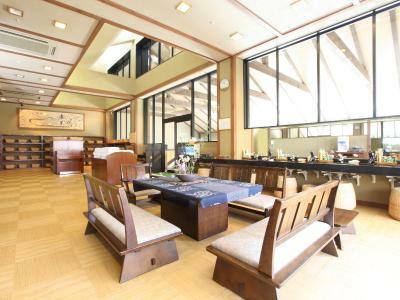 Yuzanso hotel is a 10-minute drive from the Hieizan Enryaku-ji Temple, and a 30-minute drive from Sanzen-in Temple. 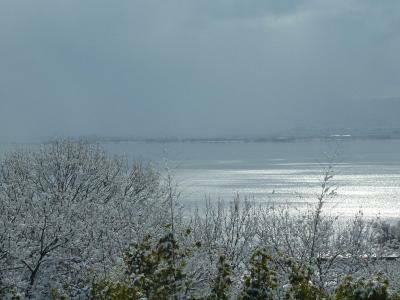 The Biwako Valley Ski Resort is a 40-minute drive away. When would you like to stay at Yuzanso? 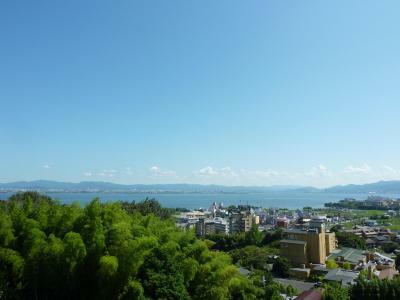 Air-conditioned room featuring an en suite open-air hot spring bath with views over Biwako Lake. It is fitted with twin beds, an LCD TV. 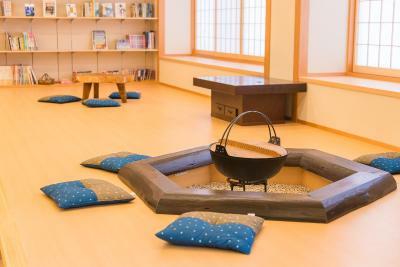 Yukata robes and complimentary green tea are provided. Guests who have booked with a half-board inclusive rate can enjoy a Japanese multi-course dinner including Omi-Beef. Air-conditioned room featuring a view and a custom-made chair. 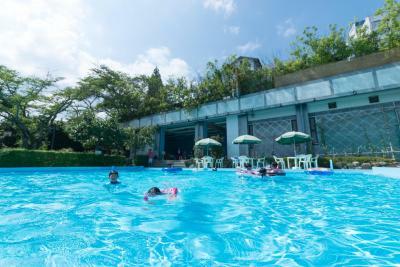 Located on the 6-8 floors, this air-conditioned room features a view, private open-air bath, 2 washbasins and toilets. This family room has air conditioning and flat-screen TV. House Rules Yuzanso takes special requests – add in the next step! Yuzanso accepts these cards and reserves the right to temporarily hold an amount prior to arrival. 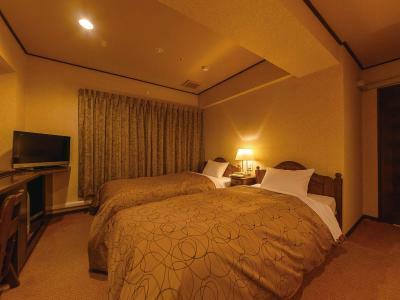 To use the hotel's free shuttle, call upon arrival at Ogoto Onsen Station. Contact details can be found on the booking confirmation. 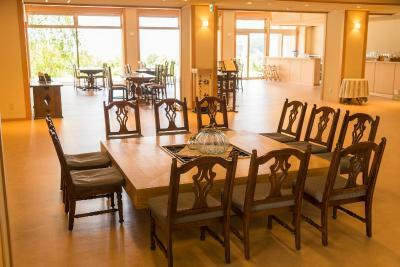 To eat dinner at the property, a reservation must be made 7 days in advance. Child rates apply to guests with children. Please inform the property how many children will be staying and their respective ages in advance. Special child menu is available for children between 3 and 12 years old. Please contact the property regarding the child menu. The room size is the same regardless of the number of guests. Please inform Yuzanso of your expected arrival time in advance. You can use the Special Requests box when booking, or contact the property directly using the contact details in your confirmation. Location but transport is provided to pick up and drop off the nearest station before 10pm. Staff speaks very limited English No clear explanation on wearing Yukata and available room facilities but we are alright because our family speak some Japanese language. There is not really anything to do within walking distance, you can go to the station and go elsewhere. This is good if you want to get away from the city, not great if you want to grab a coffee or lunch. 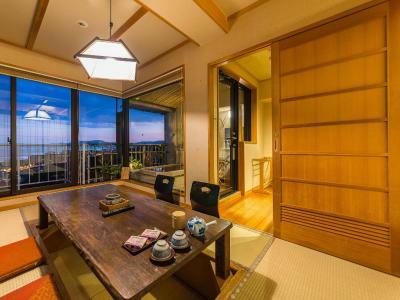 My friend and I had an incredible stay at Yuzanso! We booked a Japanese style room with a private bath because of tattoos and our bath bath was on the balcony overlooking the lake. The room was very simple in decor and slightly dated, but it was clean! The futons were more comfortable and we slept quite well. The staff at this ryokan are fantastic! Most speak English well enough, and even those that didn't went above and beyond to help us have a good stay. When we arrived the lady who checked us in showed us to our room and explained how everything in the room worked since we can't read Japanese. She also wrote the kanji for the men's and women's bath so we wouldn't go in the wrong one. The restaurant staff were also phenomenal and took really good care of us. You can tell they take pride in showcasing the beautiful food of their country. The restaurant looks to have been remodeled recently and is much newer looking than some other parts of the hotel. If you don't have a Japanese phone or way to call the hotel for pick up from the train station, ask the staff in the window to call the hotel. They will call and confirm your name and you'll be set! It would have been better if there was a cold water with the food. As for the single room, I cannot say it was comfortable. it was a hard bed with the cushion on top. Plus the air conditioner was right above my head, so the cold air was hitting me too directly. Not many staff members speak English - but they try really hard to help. Need to check in before 8pm - it is a quite a long journey from the airport. Staff at the front desk are not welcoming. Most of them are rarely understanding and speaking English or someone who speaks are not welcoming either when asking for some request or service. Very unattentive. 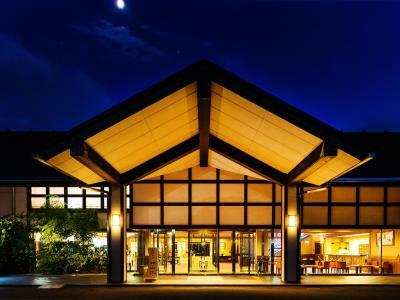 Unlike other hotels or Ryokans where staffs speak little to none English at all but they are very welcoming and attentive, always response to guests request with their smile. 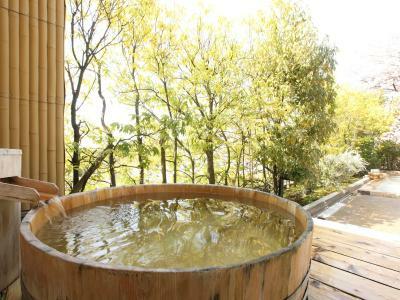 The room was ok for the room with private outdoor hot tub. Fond small mark of blood on pillow case. Location is in Ogoto, Otsu. 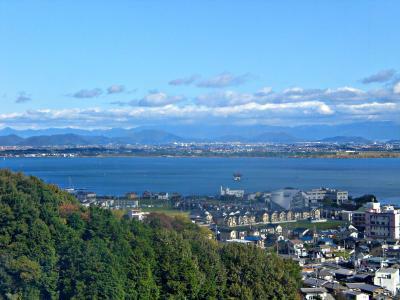 Ok for traveller who wants to explpre around Otsu and Lake Biwako but very far from Kyoto, about 20 mins by car to Train station plus an hour by Train to Kyoto or by Car. Not very easy to be found even by Taxi as the driver got a bit lost the way to find the hotel. Experience was almost totally dissappointing but it has made up some marks from the welcoming staffs at the restaurant. Thanks to aunties and service guys over there. The decor was a bit tacky but everything else was ok.
Futon bed is not that comfortable. We all found the food are too traditional Japanese and wish there would be another choice of food for us to choose.